As the only female among Benson, Texas’s Starr cousins, Skylar Starr is used to an overabundance of testosterone smacking her upside the head. As a child, she helped out on Grandpa Starr’s farm alongside the boys, went hiking and camping and fishing with them… She did everything with them. But now that she’s back from college, Bryan Stripe keeps looking at her like he wants to gobble her up for dessert in lieu of Grandma Starr’s prize-winning peach cobbler. To be perfectly honest, Skylar might like a taste of Bryan, too, now that he’s not yanking on her pigtails and shoving mud in her face anymore. But boy, is that ever changing. And fast. These days, there’s no doubt in Bryan’s mind that Skylar is all grown up, and that spells trouble. He’s been best friends with her older brother for as long as he can remember. They even went into business together. Starrs & Stripes Steak & BBQ is the fastest growing restaurant chain in the county, and Bryan needs to give their joint venture all his focus. So why’s he spending so much of his time chatting up Skylar at the bank when he ought to be manning the smoker? Has she ever truly been One of the Boys? Nah. 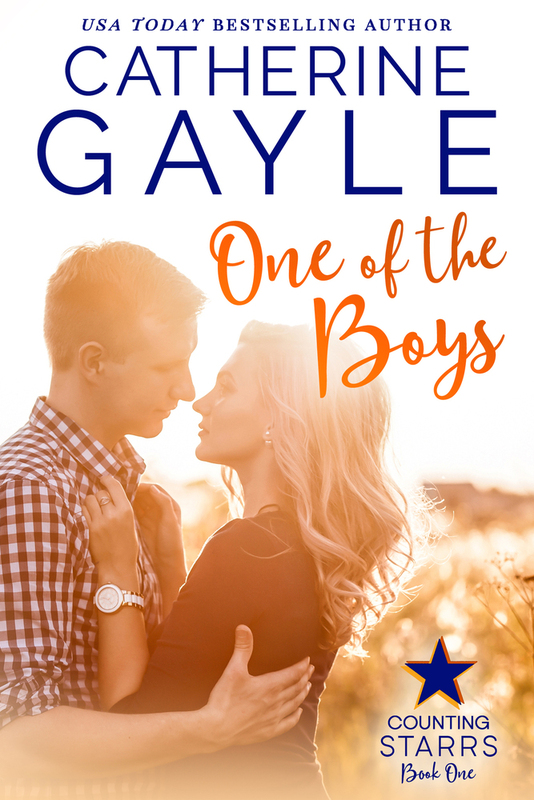 One scorching kiss convinces them both that Skylar’s all woman now—and it turns everything they thought they knew about their little slice of the world on its head.